Boost your direct sales revenues with Soko. 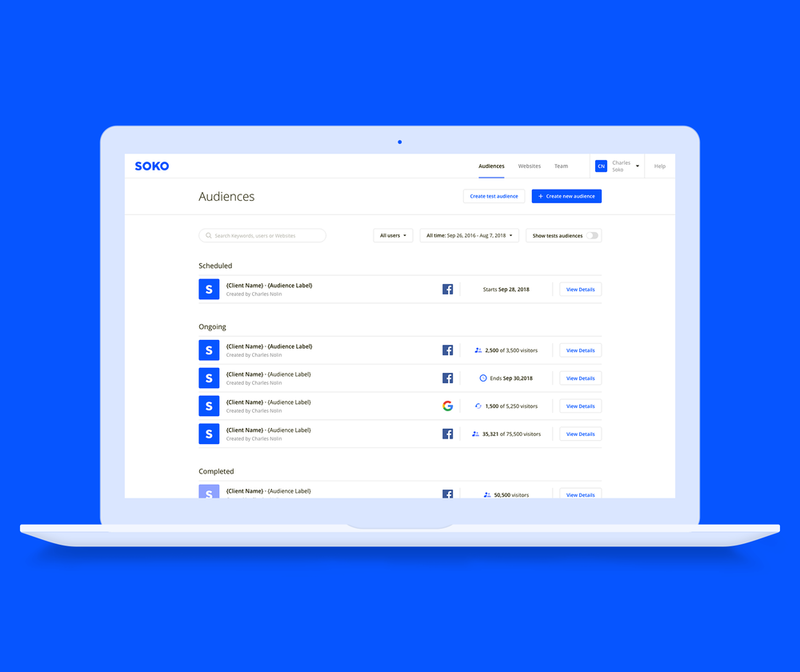 Soko makes your audience portable so that your direct sales team can sell it, not only on your own properties, but wherever advertisers are running their campaigns, including on Facebook and Google. Use Soko to offer new stand alone products or combine it with existing products to boost deal size and differentiate your offerings from the competition. Because the ads are shown off site, Soko has no impact on the user’s experience and no impact on your ad inventory. Soko doesn’t collect or resell your data. Advertisers get no access to your data. Soko complies with American and Canadian privacy regulations as well as the European GDPR. Find out how you can grow your direct sales revenues.